The Caithness & North Sutherland Fund has recently committed over £50,000 to six community projects in its latest round of grant awards. Jim MacGregor, CNSFund Chair said, ‘'Our latest funding investment supports improvements to historic and cultural visitor points of interest, village festivities, tourism development, watersports events and young people initiatives. To help us achieve our aims, we encourage groups to continue coming forward with proposals that deliver a sustained benefit for our communities". Thurso Community Development Trust was awarded £5,000 towards the costs to deliver a tourism development project for the town of Thurso that will market and develop Thurso as a tourist destination. The project will create a new tourism development officer post to develop and deliver a range of tourism activities that will include creating a ‘brand Thurso' mobile optimised website and related marketing materials. Joan Lawrie, Thurso Community Development Trust Voluntary Project Officer said "We are delighted to have the support of the Caithness and North Sutherland Fund to assist us in developing our project, as our community consultation revealed a focus on tourism in Thurso to be a priority need. The funding will allow us to run several tourist sector workshops with the aim of everyone in the town coming together to promote Thurso. We will also consult with the community and tourist sector to produce a Thurso tourism development plan that will act as a blueprint for the future to enhance and promote tourism provision in the town". Helmsdale & District Development Trust was granted £18,500 towards refurbishing the Helmsdale War Memorial that will include structural refurbishments, stone conservation and clock restoration works to preserve the prominent building as an important visitor point of interest. High Life Highland was granted £12,686 towards its Wick High School Youth Support Worker Project to develop youth support initiatives within Wick High School over the 2018-19 academic year. The project will offer individual support and group sessions as well as volunteering, learning and skills-building activities to young people. Dunbeath Preservation Trust was awarded £7,225 towards refurbishing the Dunbeath Heritage Museum and Schoolmaster's House. The refurbishment will include new double-glazing windows and doors to improve the energy efficiencies and environment of the heritage centre buildings, which is an important cultural resource and visitor point of interest. The Scottish Surfing Federation was awarded £4,000 towards costs of holding the 2018 Celtic Cup surfing competition in Thurso in November. The event will be open to all to spectate and will also include various associated social events over the competition period. The project will help to re-establish the international surfing event in Thurso and promote the area as a world class surfing venue. Lybster Community Group was granted £3,283 towards new festive lighting including an artificial Christmas tree to improve and further extend the Christmas lighting display throughout the village of Lybster that will enhance the attractiveness of the area at a celebratory time of year. The CNSFund is funded by the Nuclear Decommissioning Authority and distributes money to community organisations for projects that will increase the attractiveness of Caithness and north Sutherland as a place to live, work and invest. The Fund has a particular emphasis on achieving environment, social, culture and infrastructure improvements. 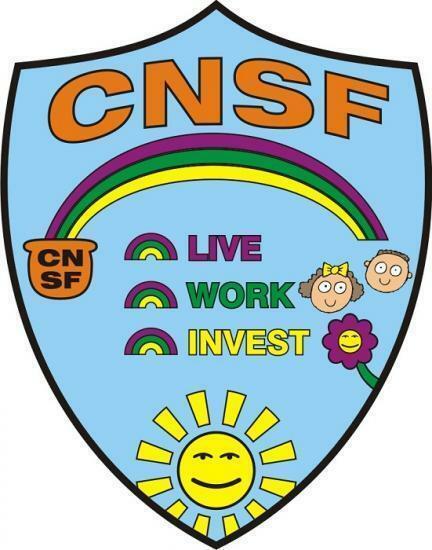 Applications are assessed on a quarterly basis and information on how to apply can be found at www.cnsf.org.uk or by contacting the Fund Coordinator David Shearer on enquiries@cnsf.org.uk Tel: 07841 204 982.